Kevin Belingon looks to change his championship status from "interim" to "undisputed" in his bout against Bibiano Fernandes. He faces his Brazilian archnemesis who beat him two years ago, but now he is smarter and stronger. Team Lakay has become an instantly recognizable name in the Philippine mixed martial arts (MMA) scene because of the big number of successful homegrown talents that it has produced since its inception in 2003. Despite being nestled at an elevation of 5,050 feet above sea level in the mountains of La Trinidad, Benguet, Team Lakay has been recognized as one of Asia’s elite MMA camps, spawning remarkable Filipino fighters such as Eduard Folayang, Geje Eustaquio, Honorio Banario, Joshua Pacio, Crisanto Pitpitunge, Stephen Loman, Danny Kingad, Rey Docyogen, Mark Eddiva and Roldan Sangcha-an. Like any other member of Team Lakay, Kevin Belingon also flourished in the constantly-evolving world of MMA, making a name for himself as one of the strongest and most devastating knockout artists that has ever represented the country on the global stage. 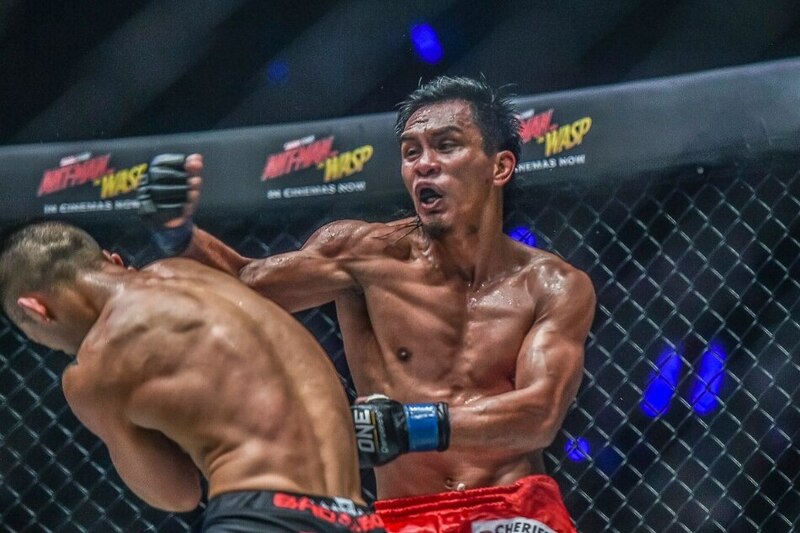 Under the tutelage of multi-awarded trainer Mark Sangiao, Belingon became a regular staple in ONE Championship, an international MMA promotion that is based in Asia. 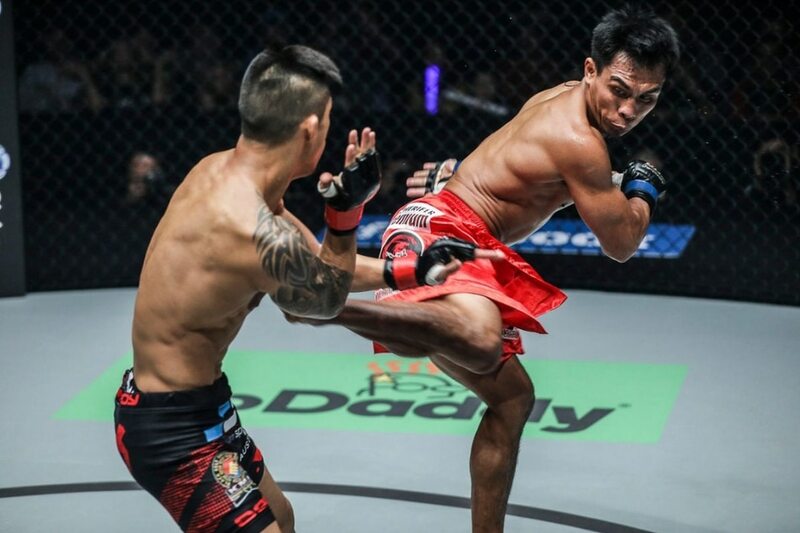 Known by the moniker “Silencer” due to his hard-hitting style that results to highlight-reel finishes, Belingon climbed the ranks of the Singapore-headquartered MMA organization’s stacked bantamweight division. Kevin Belingon is motivated to live up to his reputation as a dreaded knockout artist. Belingon will once again don Team Lakay’s signature bright red trunks on Friday, November 9, facing one of the most dominant champions in the company’s nascent seven-year history. The 31-year-old native of Kiangan, Ifugao is slated to lock horns with Brazilian arch-nemesis Bibiano Fernandes in a highly-anticipated rematch for the undisputed ONE Championship bantamweight title. 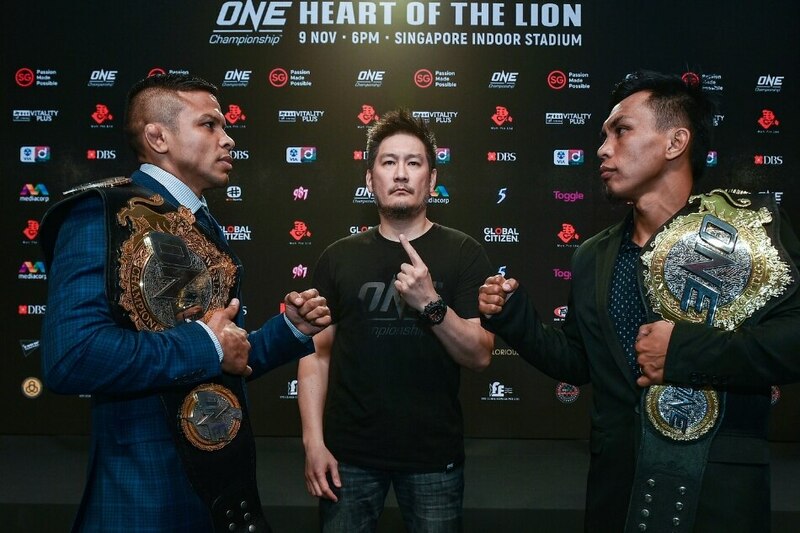 Both men are set to duke it out in the headliner of ONE Championship’s “Heart Of The Lion” event, which emanates from the state-of-the-art Singapore Indoor Stadium. Belingon is in a quest to settle the score with Fernandes, whom he fought in demoralizing fashion a few years ago when he earned his first world title opportunity under the ONE Championship banner. In January 2016, Fernandes derailed Belingon’s championship aspirations as the Brazilian forced the Filipino spitfire to wave the white flag with a wrenching Kimura lock in the first round to make a successful defense of his gold-plated strap. The heartbreaking setback to Fernandes made Belingon briefly unsure whether he could hang with the 65.8-kilogram weight class’ elite, but he used the painful taste of defeat to fuel a remarkable run over the past two and a half years. Belingon would be the first one to admit that his first-round submission loss to Fernandes lit a fire underneath him. “When I first fought Bibiano, it was a realization for me. I was confident that my striking would pose problems for him, but I was shocked that I wasn’t able to hit him with a clean punch,” he said. “His grappling and defense were levels above what I expected, and as a result, I was beaten rather easily. It was at that moment that I realized just how big the gap was between us. 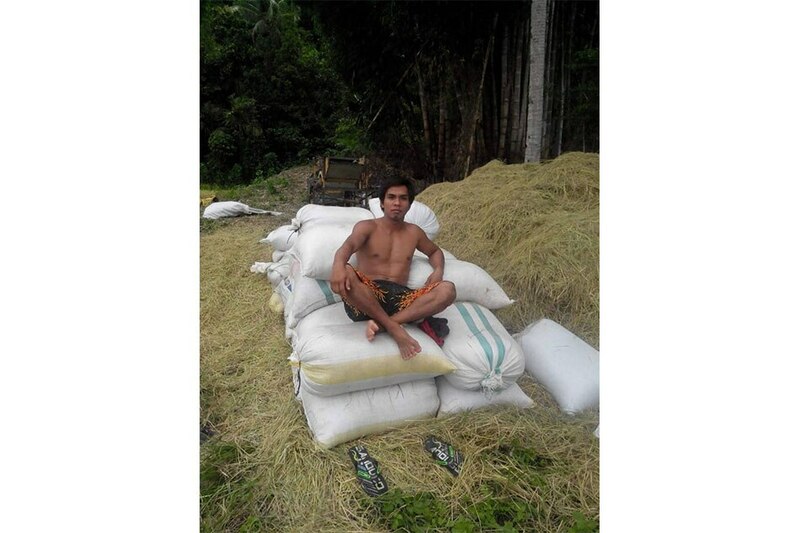 After the fight, I knew I had to work on my grappling if I wanted to challenge him,” Belingon explained further. Kevin Belingon sees great chance of winning against Bibiano Fernandes with his exquisite striking. Ever since yielding to Fernandes, Belingon steamrolled six top contenders in ONE Championship’s bantamweight bracket to reach the highest point of his 11-year MMA stint. Starting from a unanimous decision triumph over Tajik standout Muin Gafurov in October 2016, Belingon then scored first-round stoppage wins at the expense of Toni Tauru and Reece McLaren. After picking up a convincing victory against South Korea’s Kevin Chung to extend his winning streak to four matches in November 2017, Belingon notched a scintillating follow-up win, routing Indonesia-based American stalwart Andrew Leone by way of second-round technical knockout. In front of his home crowd last July, Belingon took a bout that in theory, he did not have to accept, but one that undoubtedly secured him a second date with his Brazilian rival. 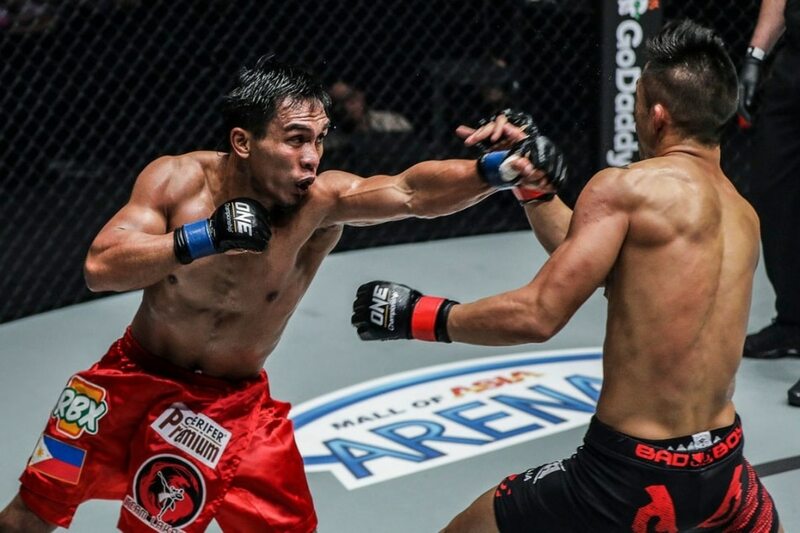 Belingon outclassed two-division kingpin Martin Nguyen over the course of five rounds to capture the interim ONE Championship bantamweight belt. After six thrilling victories on the ONE Championship stage, Belingon finds himself faced with destiny once more as he takes part in a world champion-versus-world champion title unification contest with Fernandes at ONE: Heart Of The Lion on Friday. 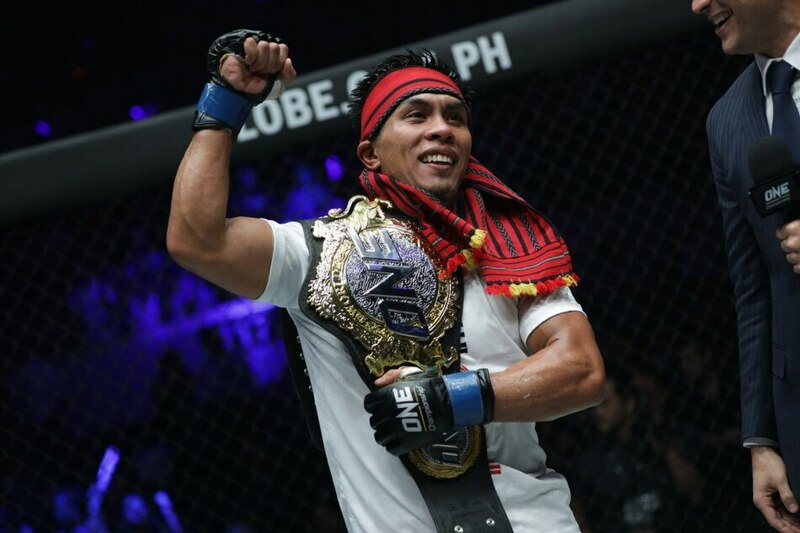 Belingon feels that his journey to this point has been worthwhile, and now that he has an intricately-crafted hardware around his waist, he wants to redeem himself from the defeat that he experienced at the hands of Fernandes. “He has been on my mind for more than two years now. I have upgraded my skills where necessary. This time around, things will be different. I am a completely different fighter. I know the mistakes I made in the first bout. This is my chance to erase that memory,” he expressed. Bibiano Fernandes and Kevin Belingon see eye-to-eye for the last time before their match on Friday. Between the two fighters is ONE Championship’s Founder Chatri Sityodtong. 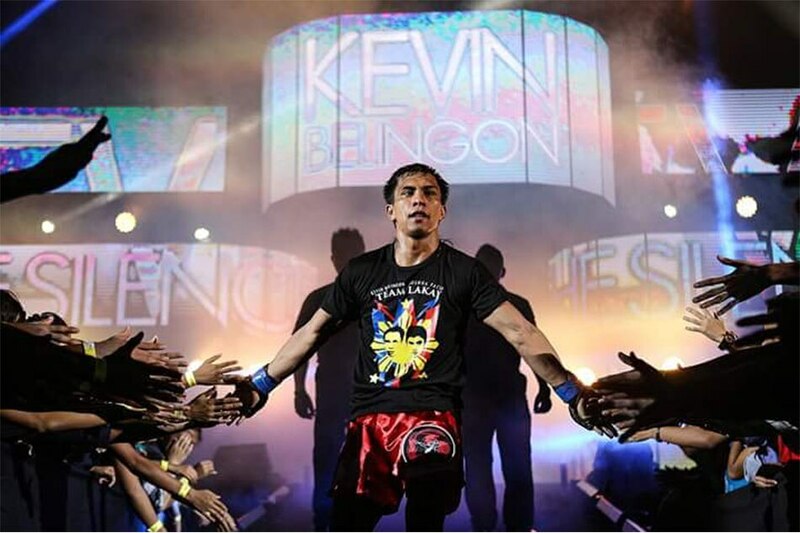 Kevin Belingon is determined to remain as world champion in his upcoming rematch against Bibiano Fernandes. 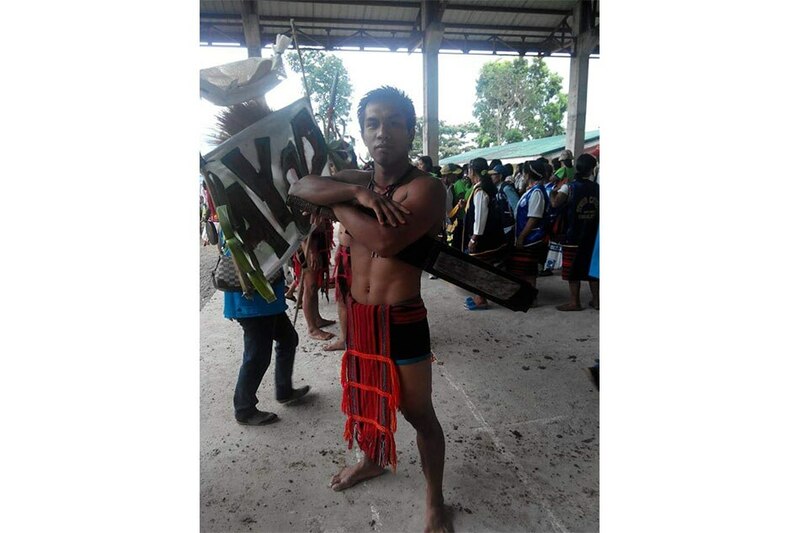 Kevin is a proud Ifugao. 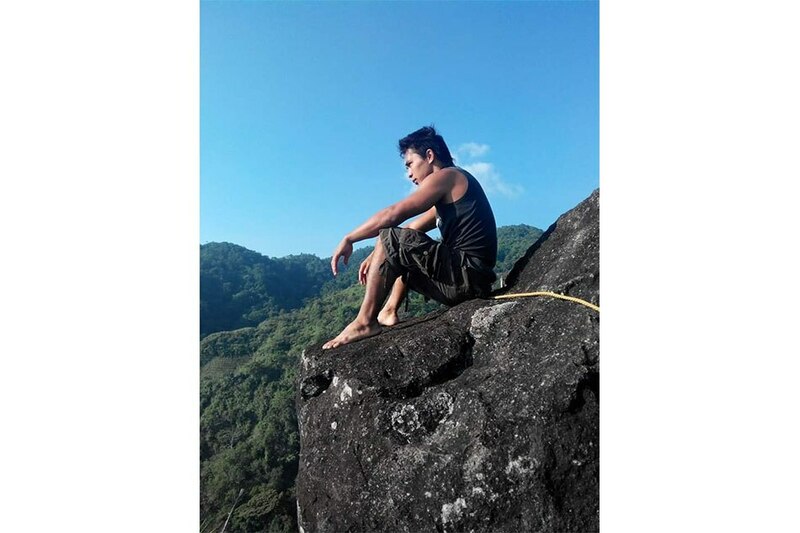 The terrain in the Cordillera helps build the stamina of fighters in Team Lakay, the martial arts group where Kevin is a member. 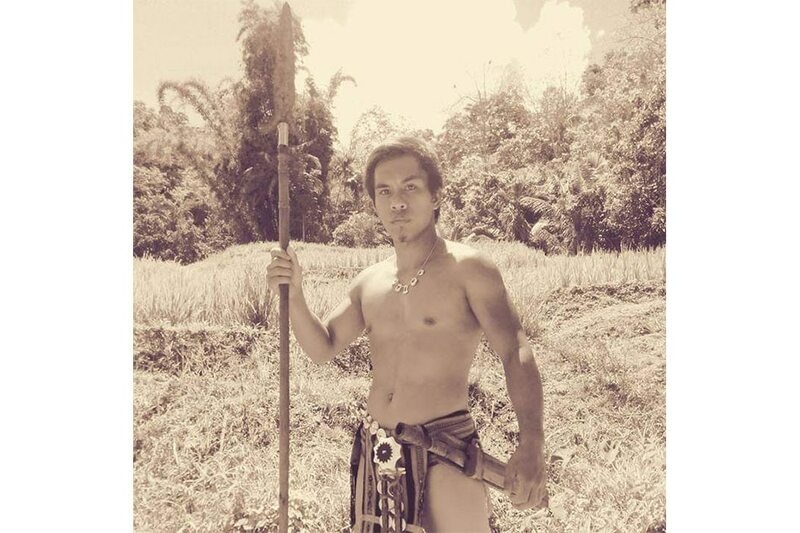 Kevin in his Ifugao G-string. The farming tasks in his province are a good enough workout for Kevin. 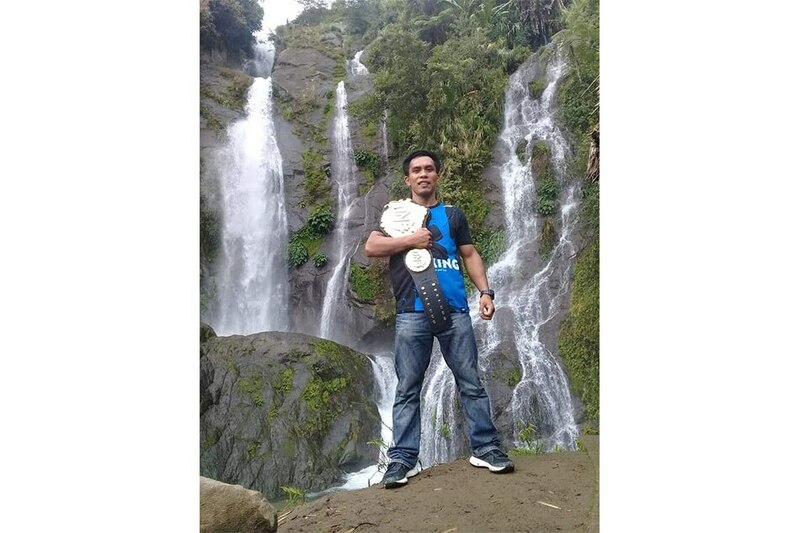 The reigning interim bantamweight champion. Kevin started his martial arts career at the age of 17. With his growing popularity in mixed martial arts, Kevin remains humble and grounded. Although he suggested that the second encounter with Fernandes would be much different from the initial meeting over two years ago, courtesy of his stark improvement as a martial artist, Belingon believes that he is in a must-win juncture. “I know this is my last chance against him. If I lose, it will be unfounded to face him again. You can say that it’s a do-or-die situation for me. I have to win this fight,” he stressed. 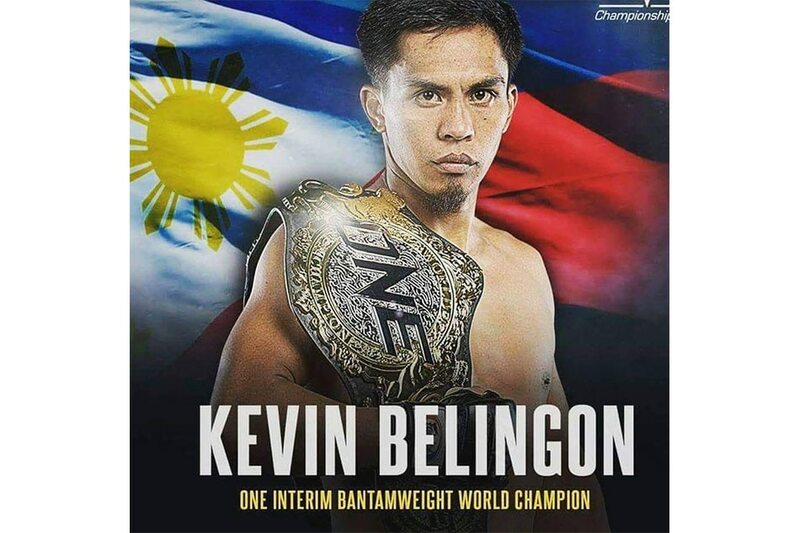 Motivated by the fact that he could be one of the few athletes in ONE Championship to accomplish the feat of unifying two world titles to become an undisputed champion, Belingon acknowledged the dire need of securing a convincing victory over a high-caliber opponent like Fernandes. “I am driven to become the undisputed champion this Friday. I am confident in my abilities, and I want to put on a show in Singapore. Although I will fight intelligently, make no mistake, I am gunning for the finish. I won’t hesitate to take it if I see an opening,” he vowed.